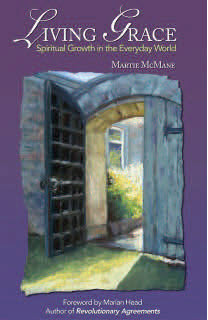 Marlin Press released Living Grace: Spiritual Growth in the Everyday World, by CIPA member and author Martie McMane. Rev. McMane applied a unique spiritual perspective to the Revolutionary Agreements when she brought it to her Women’s Spirituality Group and then to her entire UCC Congregation. share widely her inspired and inspiring meditations, beautiful inner reflections and practical everyday wisdom. Learn more at the Marlin Press website.